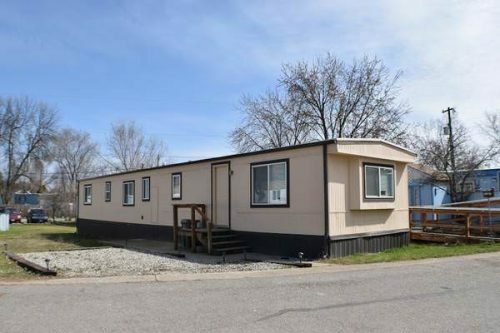 It’s that time again, time to share our favorite Craigslist mobile homes for sale in April 2018. 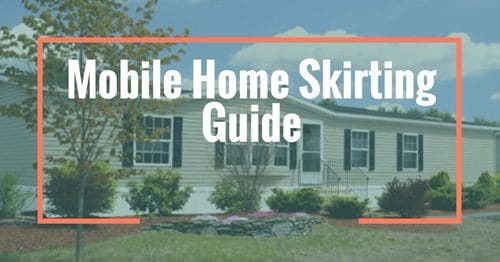 Each month we search online to find our top picks of mobile homes that catch our eye. 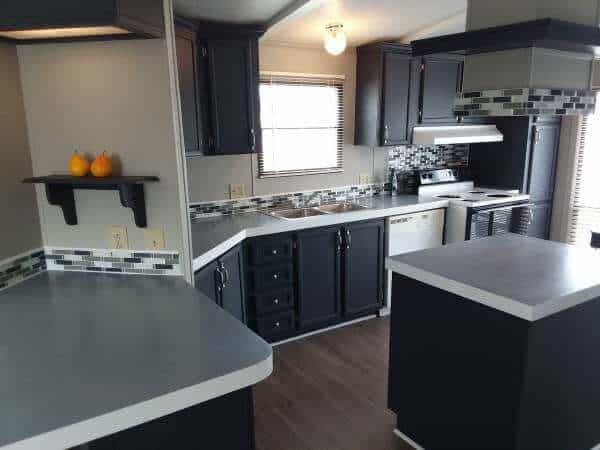 Whether it be for their potential, outstanding remodeling, or just because they are a steal, we love sharing beautiful mobile homes with you! Just a reminder, we aren’t realtors, we just enjoy looking and talking about mobile homes. All of our picks include the original listing from Craigslist, but they can be sold and taken off the market at any time. 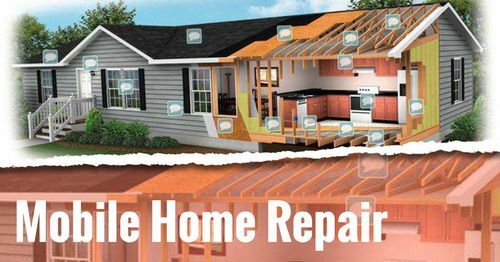 We remove links and tag the homes sold whenever possible. 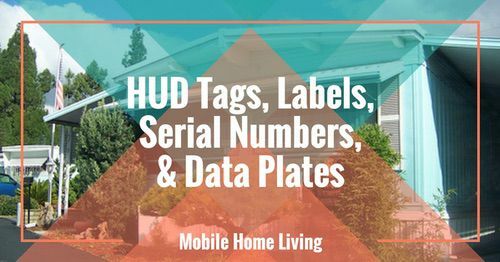 Also, a big shoutout to our friend Steve, who shares all of these fantastic mobile home finds from his Facebook page Manufactured Housing. 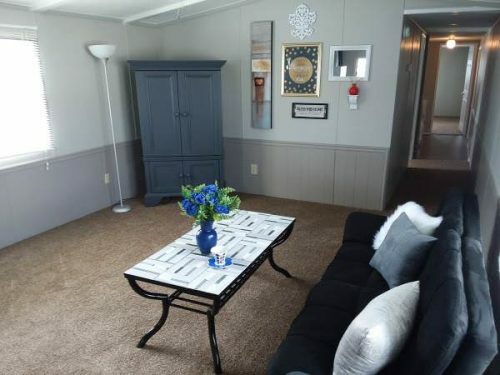 This 900 square foot mobile home located in Missouri, looks pretty average from the outside. However, once you step inside, you know this completely remodeled home is something special, especially for under $20,000. Dark, painted cabinets are accented nicely with the tile backsplash in both the kitchen and the bathroom. Also, a bay window adds plenty of natural light into the kitchen. We also love the wainscoting in the living room which adds dimension to the space. Whoever did this update should be proud! Home is sold. 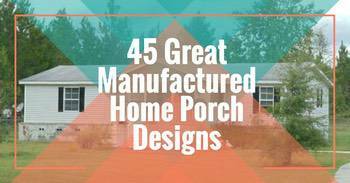 Related: 5 Great Living Room Mobile Home Makeover Ideas. The exterior seems to be in good shape. Love the shades of grey on the walls. The kitchen is a beauty. This 1978 900+ square foot mobile home in Washington State is a sight to see! Starting from the exterior, it looks to have been completely updated. 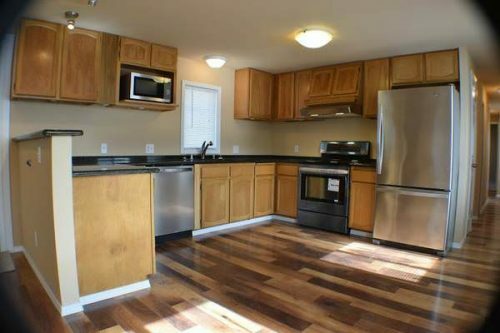 New floors, framed out windows, granite countertops, even stainless steel appliances are featured in this mobile home. 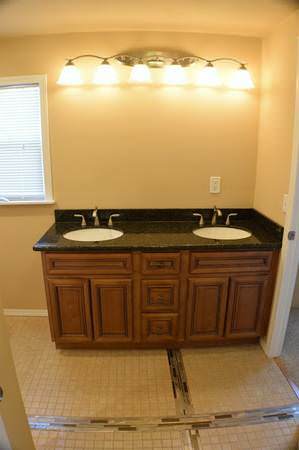 There are just too many fresh updates to list, but we did want to share one of our favorites, the unique tile in the bathroom and laundry room. 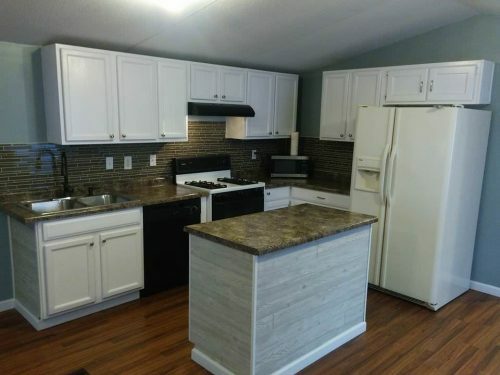 This seems to be a very high-quality update to an older mobile home, at a very reasonable price. Home is sold. Looks like the exterior has been freshly painted. Looks like a brand new home. Notice the detail in the tile work? 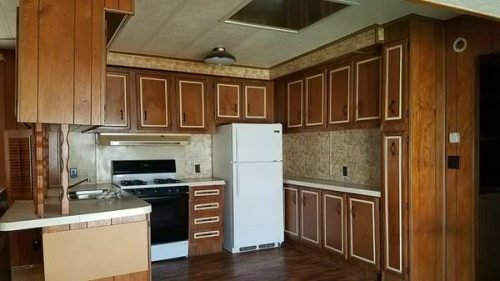 If you are looking for something to downsize to and have a love for DIY projects, this 1968 Mobile Home in a senior park in California, just might be for you. 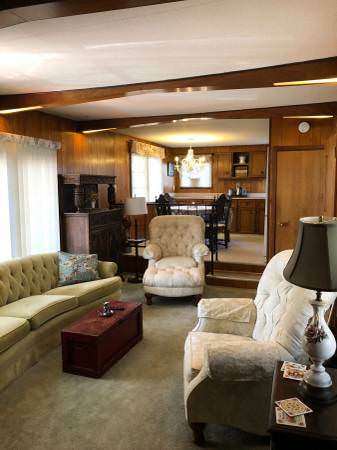 It looks to have had some minor updates through the years, mainly flooring and a newer heating system, but still has the original paneling throughout. 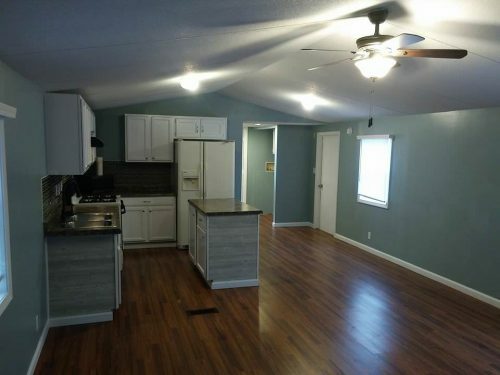 It also features the raised kitchen on the end of the mobile home overlooking the living room. Fortunately, it looks to be in good condition and could easily be updated with just a fresh coat of paint to lighten up the space. Home is sold. Related: A Wood Paneling Makeover: Aged Plaster Treatment. Open floor plan with the step down from the kitchen. The kitchen is good size. 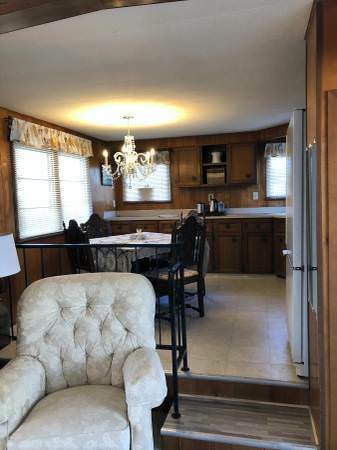 This 1990 Sky Model mobile home in Kansas, found in the Facebook marketplace, is a perfect example of what a difference an update can do. 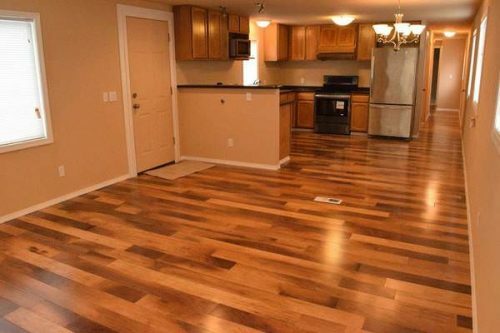 Although it’s small, the open floor plan makes it seem much larger. 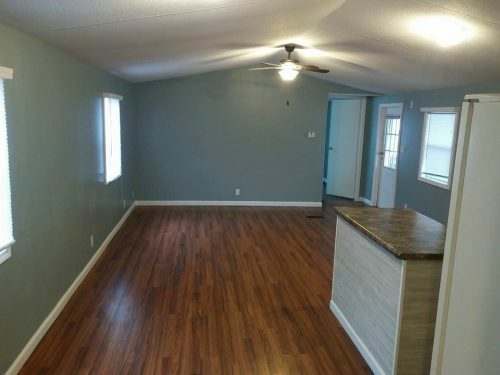 We also really like the color palette they chose for the kitchen. Its a nice combination of light and dark that balances out well. Home is sold. Small, but gives the illusion of being much bigger with the open floor plan. This 1983 Victorian mobile home in Ohio, is a project lovers dream. 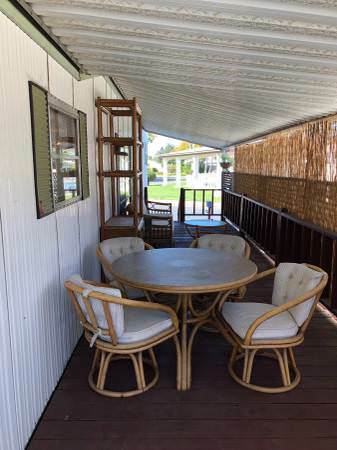 Sitting in a mobile home park community, the listing states that the mobile home would have to be removed, but for this price, it would be well worth the effort. 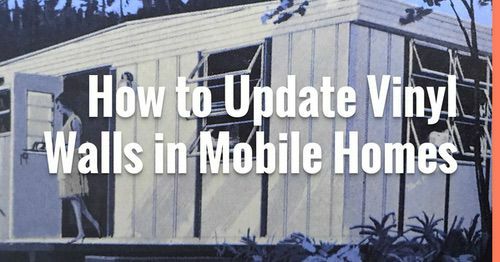 Whether you wanted to set it up as a vacation spot or hunting camp, or even as your new home, if the mobile home is sturdy it would be a great investment. 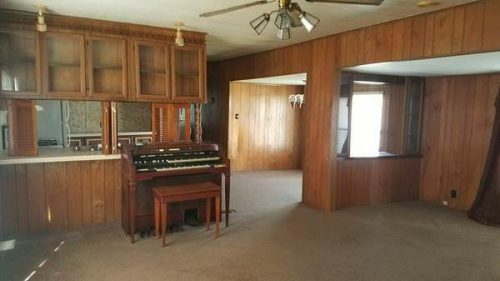 With all the original cabinets, paneling and built-ins, it just needs some TLC (or a total remodel if that’s what you have in mind) to be live in ready. Home is sold. Looks like the process to move it has already started. 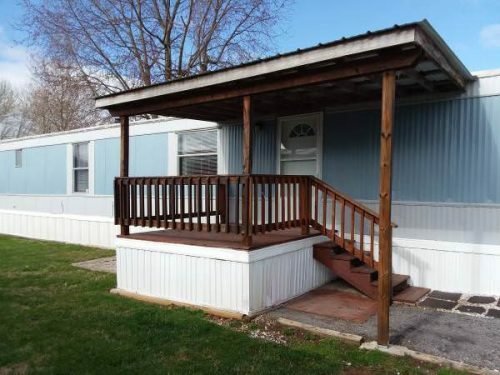 There is tons of potential in this mobile home. We hope you enjoyed our affordable mobile homes for sale in April 2018. 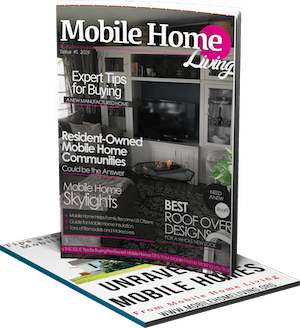 These were just a few of the homes we narrowed down to showcase the possibilities of Mobile Home Living. Be on the lookout for next month’s installment! I’m constantly amazed by mobile homes. It’s impressive how great they can be! I hate that they have been stigmatized so much over the years. 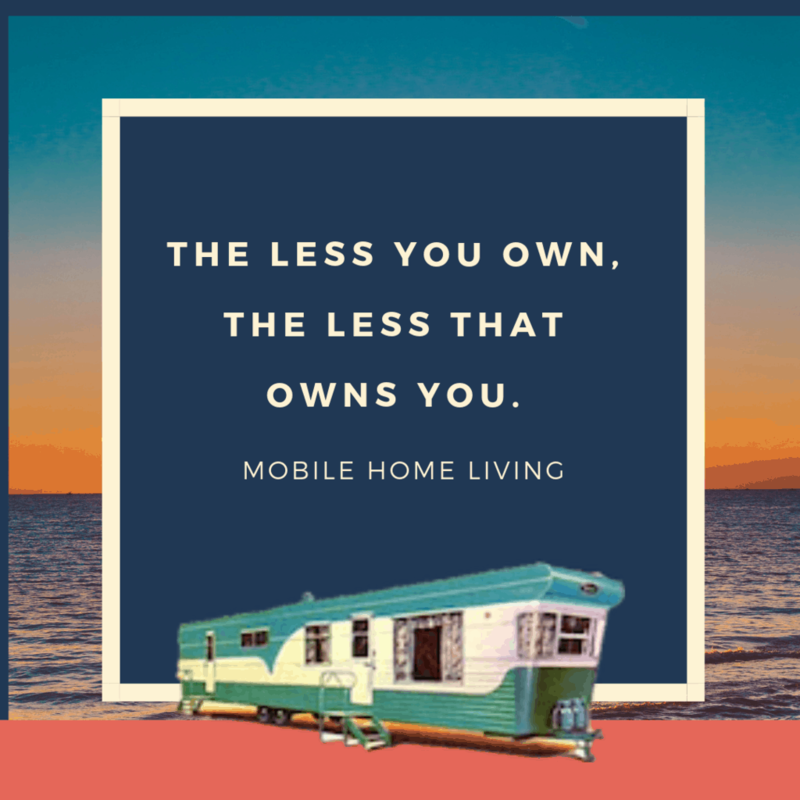 I’m convinced that we can help so many people live with less stress and more joy if we can introduce them to affordable living in mobile homes of all ages and sizes without the taboo.